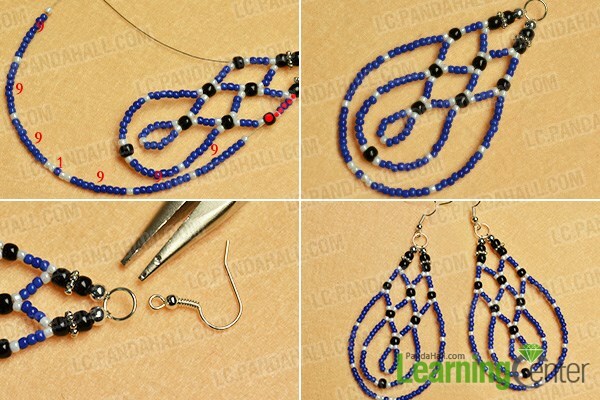 Summary: This tutorial will share a pair of seed beaded earrings to you all, if you are searching for how to make seed beads earrings, then you can never miss this one! 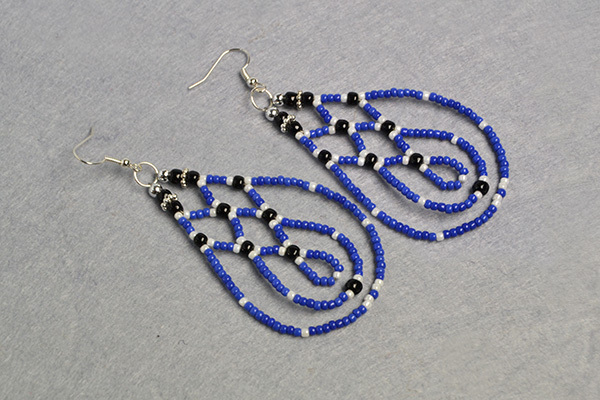 This pair of blue seed beaded earrings is made with seed beads mainly, including blue, white and black seed beads, yet it is not difficult for you to make at home. Just follow here to make one pair yourself now! 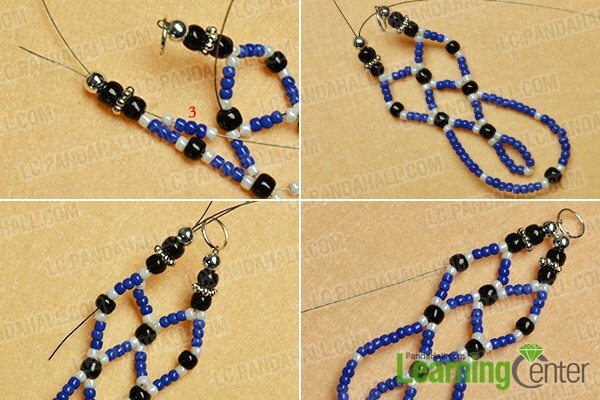 4th, cross the end through the jump ring and next 4 beads, then slide 4 white seed beads, 6 blue seed beads and a black to the wire and cross it through the 4th black seed bead and fasten the wire as pictured. 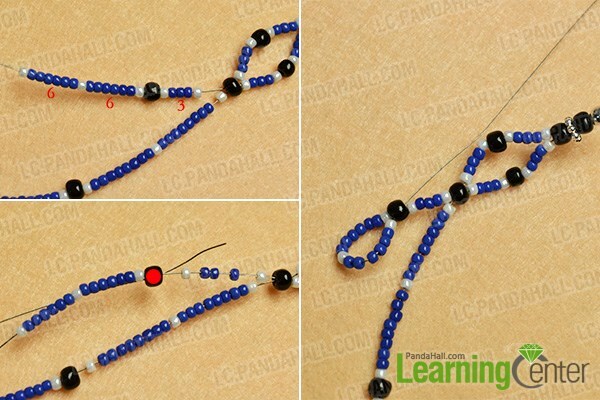 Slide 4 white seed bead, 15 blue seed beads and a black seed bead to the wire in sequence, then cross it back through the black seed bead and fasten it. 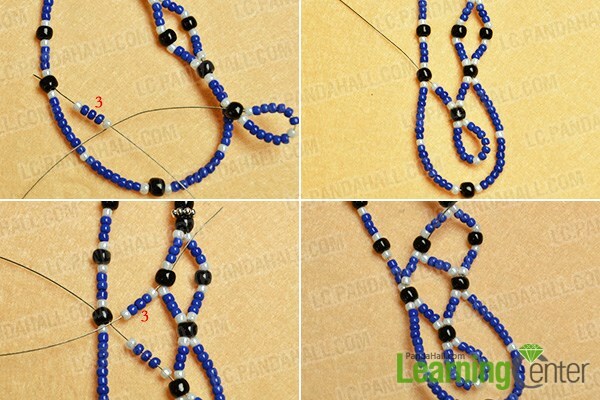 2nd, slide a white seed bead, 3 blue seed bead and a white seed bead to the wire and the cross it through the black a white seed bead, 3 blue seed bead and a white seed bead to the wire a in the first loop as pictured. 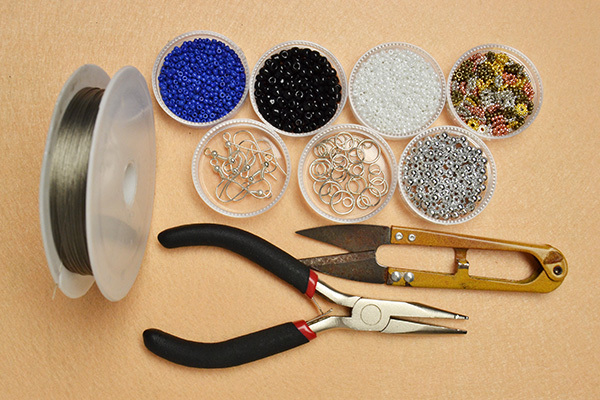 2nd, cross it back through the last several beads and fasten the wire as pictured. 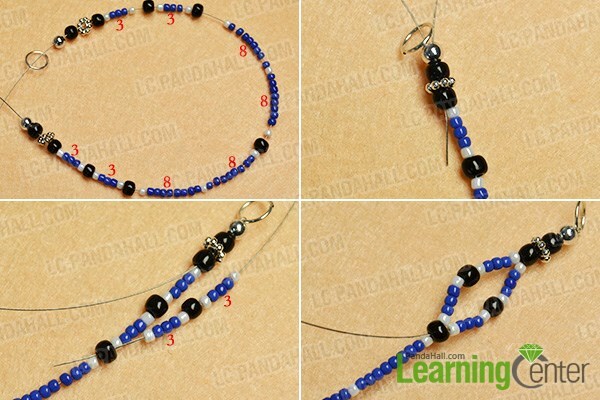 3rd, attach an earring hook to top of the seed beads dangle and repeat above steps to make the other one of the seed beaded earrings. 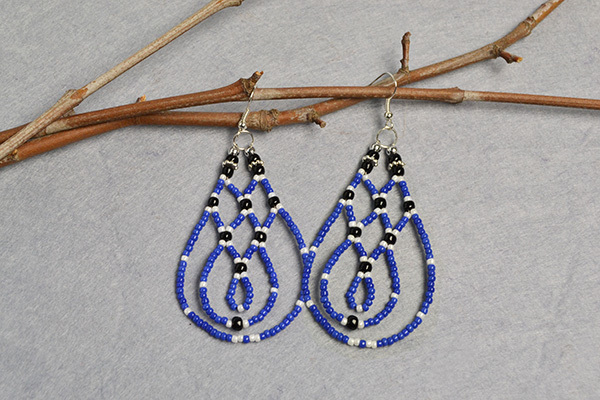 Here is the final look of this pair of blue beaded earrings. 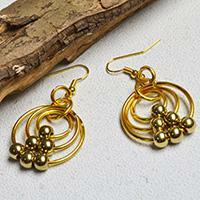 How do you like this pair of drop bead earrings? 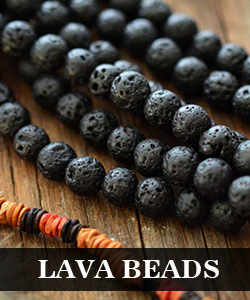 I love them so much that I will make another pair with red seed beads mainly, do you wanna join me? This project is inspired from: http://lc.pandahall.com/craft-ideas/7754.html.